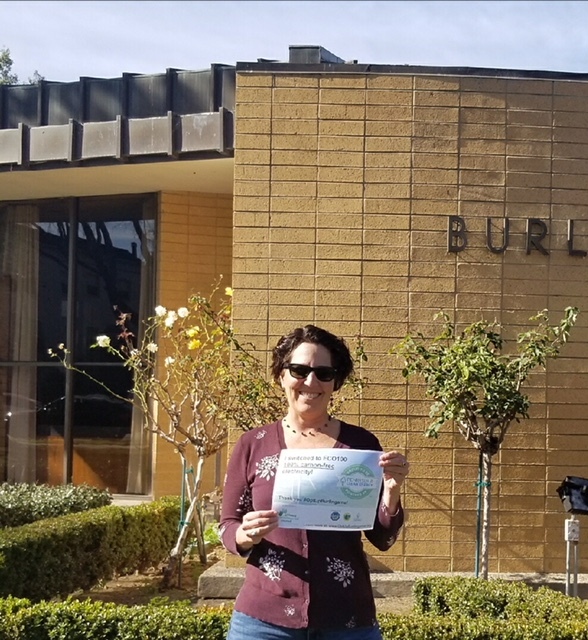 Lisa is the current Burlingame City Manager and an ‘honorary Burlingame resident’ for her 5 dedicated years in that role. She’s also a member of the Burlingame Aquatic Club and Burlingame Rotary. Why did you opt up: Why not? This is such an easy, inexpensive way to do my part to help the environment. Next sustainability commitment: Get my family to recycle more and turn off the lights!